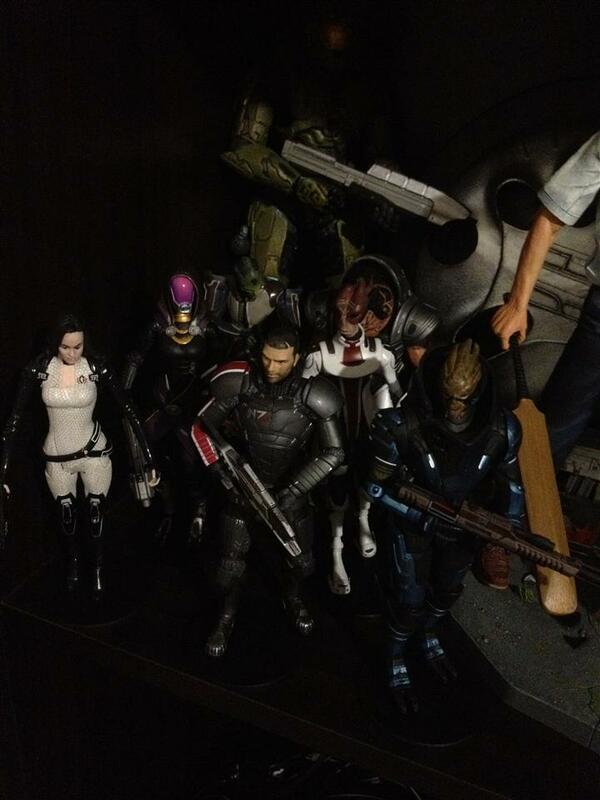 BIG FISH TOYS Complete Mass Effect Set collected in Figure Collection by Tayler Rowe - Collected It! These guys are a great addiction to any collection if you are a fan of the franchise, it took me a while to get the whole set because I didn't grab them from eBay which is what I would usually do, instead they were selling each one separately at my local video game shop. Big Fish Toys are a relatively small and unknown company and it seems that the Mass Effect name is all they have to keep them in the spot light, and these figures defiantly achieve that. Each one is recreated from the game brilliantly, with each figure carrying with them their iconic weapons from the games. The only downside to this set is Shepard's face, looks very strange and stretched. Great colors on each figure, having that diverse feel across each figure. I would only recommend this set to fans of the series, if someone else was to buy these guys and wasn't a fan of the games, I could easily see them being disappointed with the outcome.